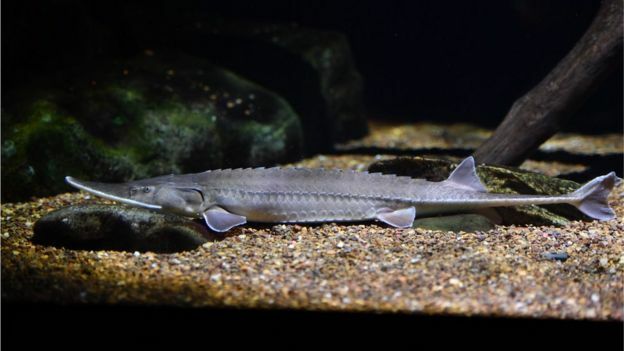 It is unlikely the swim bladder of fish would be on the list, but isinglass – a gelatine made using the organ – is in fact very likely to be in your average pint. While flocculation – the process where the substance mixes with the yeast in the beer to make it less hazy – is useful for many breweries and landlords looking for beer to settle quickly, Twisted Barrel Brewery made the decision not to use isinglass to clear its beers soon after setting up in 2014. “It’s kind of disgusting to think about, even to people who eat meat, and it’s something that’s not talked about,” he said. “It takes away a lot of the flavour from the beer,” Mr Bosworth said. When Manchester’s Marble Brewery started out in 1997, the production of vegetarian-friendly ales was not a consideration, but the desire to be authentic meant the brewery steered clear of fining agents. 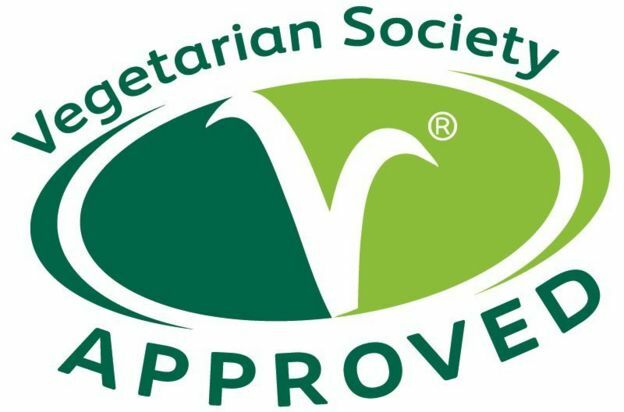 Its stance means Marble is one of a handful of breweries to be approved by the Vegetarian Society, something that’s earned it a loyal following. While not averse to using odd ingredients – from Japanese citrus fruit yuzu to bergamot – the idea of filling a pint full of fish bladders left a bad taste with the brewery’s brains trust. “When I first came here I asked [brewery owner] Jan if we needed to be vegetarian, and she said yes we do because it’s a very big thing for us,” said James Kemp, who took over as head brewer this year. “We’d lose a lot of customers if we weren’t part of it. As the number of active breweries has soared – from fewer than 700 in 2009 to more than 1,500 in 2016 – the number of those that leave out isinglass and other items has grown. 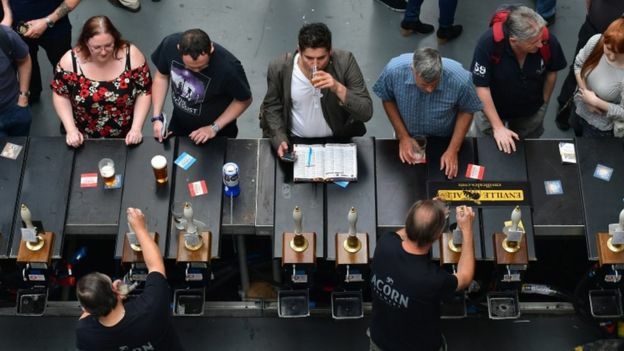 “Particularly in this day and age of ‘pubcos’, people want to get the beers on as quickly as possible, and isinglass is a shortcut to help them,” he said. It is not just ethical concerns driving the increase. Mr Protz – himself a vegetarian for more than 25 years – points to increasing customer knowledge of different beer styles, such as German wheat beers, that are naturally cloudy, meaning British drinkers no longer naturally fear the worst when served a less-than transparent pint. 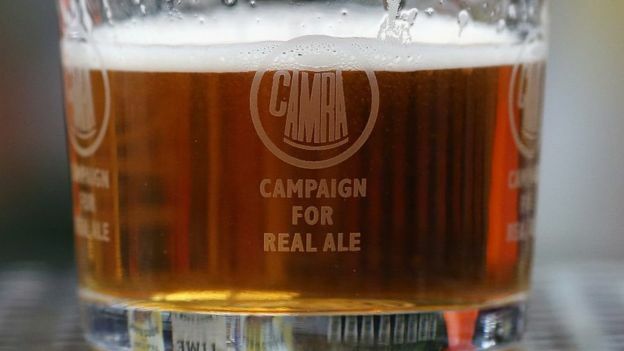 However, with greater consumer awareness about the provenance of food and drink and a number of breweries signing up to earn the society’s approved trademark, he hopes the situation will improve. 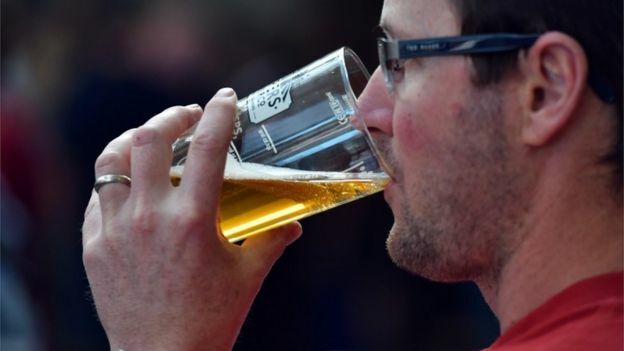 “The use of isinglass in drinks production is a major frustration for vegetarian beer lovers as there are very few obvious ways to identify whether or not it has been used,” he said. “I think with the craft beer revolution more breweries aren’t using isinglass,” said Mr Bosworth. “People are moving away from the idea beer needs to be clear. “All of the people who have brought back beer to our bar thinking it was off have had it explained to them, and once they were told about it they realised the beer was fine. “I think that the pressure is on,” he said.